A photograph of a general store and post office in Waseca, Johnson County, Kansas. 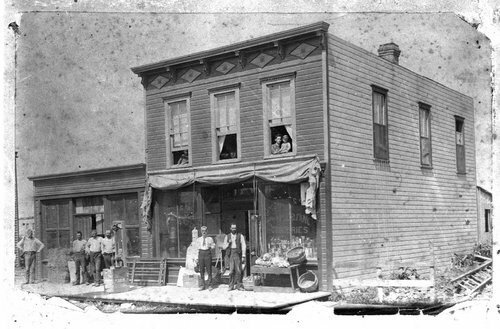 Owner of the store was Henry F. Hodges. The people in the photo are unidentified.